Boroughmuir Rugby makes history again! 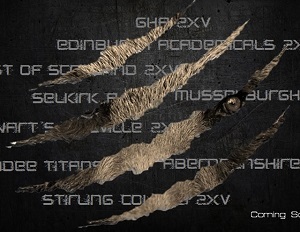 The new season fixtures for the senior teams have been published with the Magic 2s away to Melrose on the 27th August and the U18s at home to Hawick on the 29th August. But the big news is with the Boroughmuir Bears as they make history and launch their competitive debut in the BT National Reserve 2 league. This is the first occasion in the modern Scottish Club rugby game that a club has had 3 teams in the national leagues. This achievement has only been possible through foundations laid by the players, club coaches and officials in building a high performing set of players that won the East League last season. Bear’s Captain Jamie Scott, summarised the feeling of the club moving into this historical period. The Bears can expect much harder level of competition with their league made up by strong 2nd XV clubs from across the country. With a number of preseason games to prepare for the higher intensity and pace of the league, the Bears are expecting a sharp learning curve in their first season. The Bears kick off their new league season on the 3rd September, away to GHA.